/ Azek Decking Reviews 2018 – Enjoy the Outdoors in Style! Azek’s story begins in 2001 when the company was founded. Driven by their desire to make a mark in the home improvements industry they found their niche in creating exterior trims. Through tough times and setbacks they’ve persevered and are now fairly well known as a household name. In this Azek decking reviews guide you will learn all about Azek as a company, we will talk about their decking products, reviews of their products and the quality, and their warranty information! At the heart of Azek is a team of talented engineers who have set about creating the latest, most advanced products. 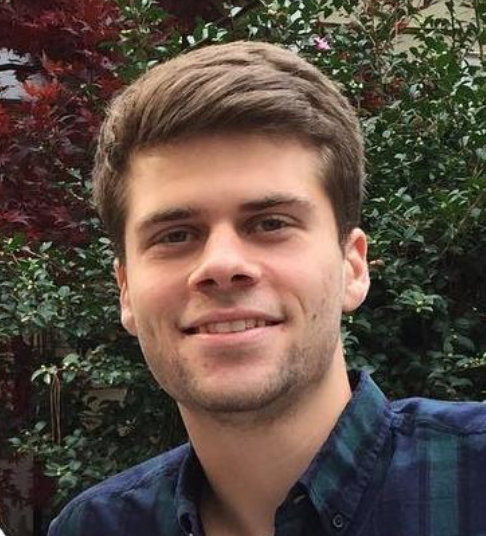 They work primarily with PVC composites and combine different materials which results in innovative products that are practical. Since 2007 they’ve been growing steadily and diversifying their product range. Testing and experimentation with new products has led them to create a number of new product ranges. Azek are still passionate about creating products with unsurpassed quality and innovation built in. They’re growing and every year are more and more well known. 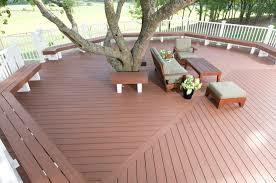 If you’re looking for decking they could be the place for you. Let’s take a look at their products. Azek have developed and manufactured products for the whole home, with trims and exterior fittings useful for everyone. They use 100% smarter than wood to make their decking and have made a name for themselves as the leading alternative decking manufacturer. If you are looking for a nice set of patio furniture to go with your new decking, I would suggest you take a look at Allen Roth Patio Furniture when you have a chance! This is a timeless look which features rich colouring which varies slightly board to board, emulating natural wood decking. There is streaking on the boards and the decking is designed to be durable. The Arbor collection features earthy tones which are warm and inviting. The boards are designed to emulate the tropical hardwoods and are made to be durable. A popular option among homeowners looking to create a pleasant outdoor space. Each of these product lines has been created with a specific home in mind and you’ll find they fit with modern or traditional home furnishings. Azek also offer Timbertech lines which are made using wood and plastic fibres. This gives a more practical surface and is especially durable to the elements, perfect for those who live in more volatile conditions. Finally Azek have a Capped Polymer range of decking. This is designed to look more like wood and is stronger and tougher than other products. For an even surface that will last the capped polymer is an asset to your home. For a traditional and American look a deep red is a classic choice. There are a number of contrasting shades available so you can find your favourite. The reds work best with the traditional and contemporary decking. For a more sophisticated look the soft grays are subtle but stylish. Available textured or patterned they’re perfect for the more refined, clean look. For a welcoming and family friendly look brown colouring works well. You’ll find the shades vary greatly and have been paired up with specific styles which complement them best. Resilient even against heavy rain, snow and wins the Azek decking uses materials which can stand up to the challenge. Along with this, if you lather on some Watco Teak Oil you can add an extra layer of protection to your decks! The unique PVC smart materials work well to keep out moisture damage and keep the clean look. Helping to limit the damage of wear and tear the materials used in the decking are resistant to any accidental damage or staining that inevitably occurs through use. To stop excessive heat that could damage the boards the decking is better than most competitors at dissipating the heat. 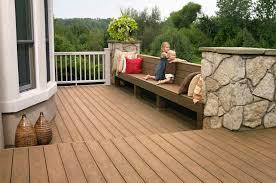 All of these features help to maintain the decking and keep it looking new for as long as possible. This translates to a better investment for you and your home. 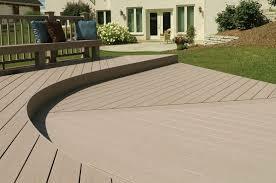 Azek Decking is researched and developed by experts in the field. 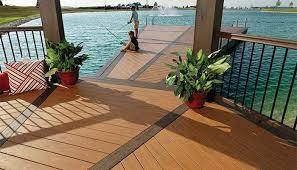 They’re committed to creating the best decking around with great features to make them even more useful. Azek are very particular with the materials they use in every stage of production. They create and select the best materials using the most advanced techniques to treat them and make them more suitable for use. Azek have developed unique protection systems like their Alloy Armour Tech and have even created their own unique materials like the Timbertech. They are at the forefront of some of the technological advances in the industry and are making trend setting trimmings for the home. Azek take care with every piece they produce and have stringent checks throughout the manufacturing process. This means fewer errors and more customer satisfaction. 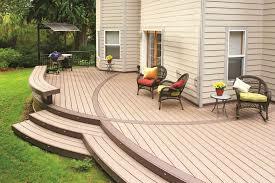 Azek have shown a really deep understanding of their products and they know the alternative decking industry well. This understanding is translating into reliable and solid products for the customer with high quality across the board. “I built a second story deck on our new house and used Azek decking on it. We've been in the house a little over a year and so far, it's great.” - JJ M.
“It fades within months. They will send someone to put a material on it to bring the color back--which it does. Then it fades within months again” - Leah D.
The rate of fading in the decking is hard to predict depending on the exact environment it will be placed in, however it should not fade within the first couple of years really. Always check the care and maintenance guides (available online) to see what you can do to resist any fading and if there’s a continuing problem then contact your dealer. Despite some isolated incidents Azek seem like they’re doing a good job and people have some alternative decking they’re proud of. Azek offer a lifetime warranty on their decking to give you peace of mind. This covers all workmanship and material defects. Be sure to check with your supplier about exactly what’s covered and look online for information if you aren’t sure. 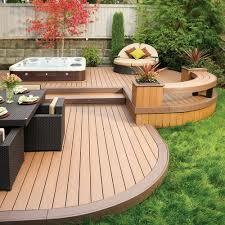 Azek Decking have done well to make a name for themselves in the crowded home improvements industry. They have shown their industrious side and are making advances in the field. That being said non wood decking isn’t for everyone. Despite the advances made in natural looking alternatives, hardwood decking has it’s own unique charms. It’s often more expensive and if you don’t use a reputable dealer it can be fairly fickle but It gives a good look. If you are looking to add an extra level of comfort and homey feel to your backyard then consider using a quikrete walk maker to make a beautiful path from your deck to your pool or gazebo. Nevertheless Azek are making some very well made decking using some fantastic materials. If you’re looking for new decking then these alternative decking suppliers could provide exactly what you’re looking for with a range of colours and styles that will suit most homes.